If you enjoy vegetable gardening, you may have heard about heirloom vegetable seeds. These are vegetables grown from heirloom seeds which are an open pollinated variety of seeds developed prior to 1940. There are many advantages for growing this type of vegetable. Experts vary in their definition of heirloom vegetables, but typically they will agree that the seeds are at least 50 years old. Many heirloom seeds have been handed down for generations in a particular area of the country. All heirloom vegetables are open-pollinated (pollinated by wind or insects) without humans being involved. There are lots of ways to grow vegetables. When you look at seed packages at the store, you’ll often see the wording open pollinated, heirloom, hybrid and non GMO. Find out the differences between the different types of seeds here. Why Use Heirloom Vegetable Seeds? 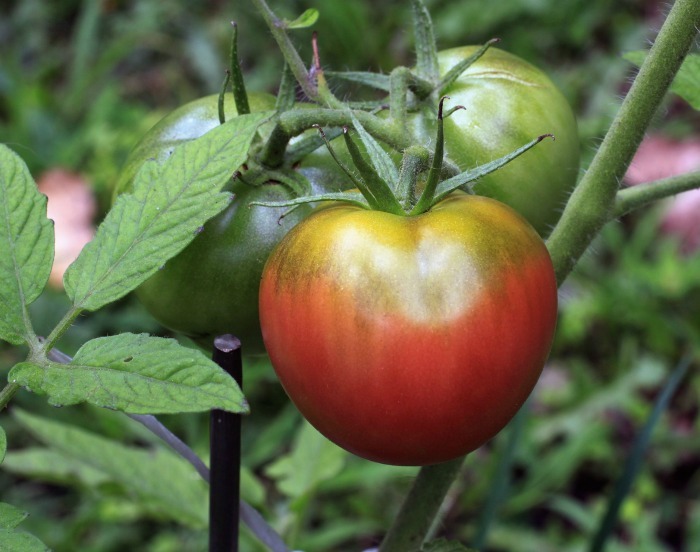 There are many reasons for growing heirloom vegetables. They are stable, often suited to your local area, rich in history and tasty. Here are just some of the reasons why gardeners prefer them. In their attempts at breeding hybrid seeds to develop certain traits, much of the taste of vegetables have been lost. This is not the case with heirloom seeds. Farmers who used heirloom seeds didn’t worry about transporting the vegetables. They were grown locally for taste. Think of pale and flavorless store tomatoes. You won’t get that with heirloom tomatoes. They are juicy and delicious! Heirloom vegetable seeds tend to remain stable in their characteristics from one year to the next. If you plant seeds from an heirloom vegetable, you are pretty sure to get a plant that is like the parent plant. Hybrid seeds don’t give you this trait. Many heirloom vegetables are resistant to local disease and insects. This means that, as gardeners, we can forego the kinds and amounts of pesticides that are needed to grow hybrid plants. Hybrid vegetables are often grown to have a higher yield to the crop. This can, in turn, lead to a lower nutritional value for each plant. Home gardeners don’t worry so much about yield, so the extra nutritional value of heirloom vegetables is a plus for them. Surprisingly, many heirloom seeds are actually LESS expensive to purchase on seed racks and in catalogs. 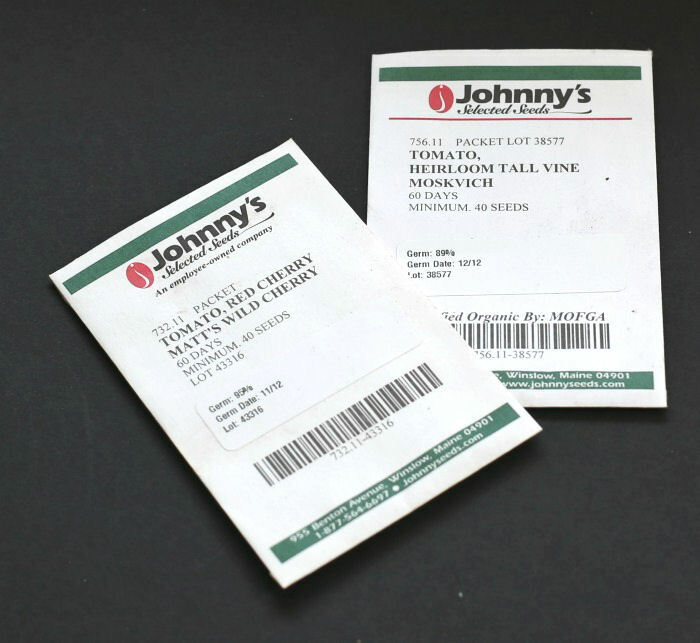 Even better, since you can save the seeds from the vegetables you get, your cost will go down to ZERO! Many heirloom vegetables will end up being perfectly suited to your particular garden. Select seeds from local farmers and you’ll be sure to plant those that do well in your locality. Since heirloom vegetables are open pollinated by wind and bees, this means that you can save the seeds to plant from one year to the next and will get the same quality of vegetable. You’ll be pleased to know that the seeds you plant will reliably give you what you expect from the vegetable. 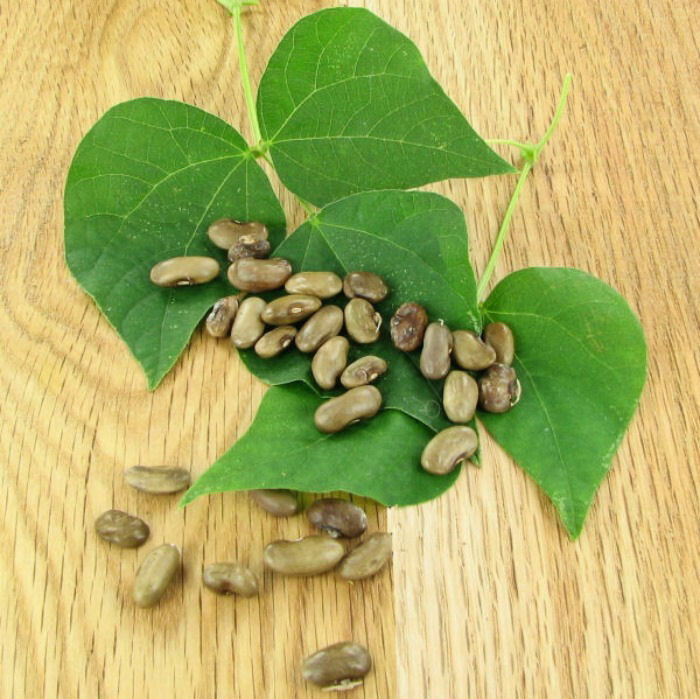 If you are interested in seed saving, check out my article showing how I saved seeds from my great grandmothers pole beans. 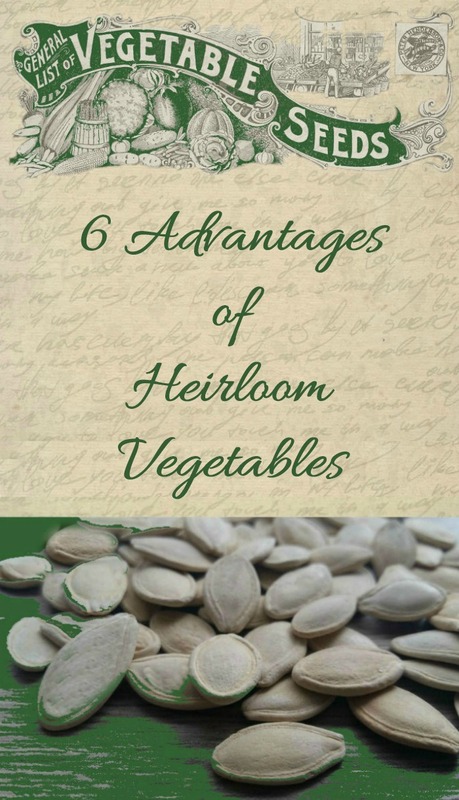 Many heirloom vegetable seeds are rich in family history. I have a special story of the heirloom bean seeds that were passed down in my family for generations. My great grandmother “Grammie Gagne” was born in the late 1800s and was an avid gardener. She had a wonderful vegetable garden and the seeds from her pole beans have been passed down through our family for several generations. My grandmother “Mimi” saved the seeds from her pole beans and planted them. My mother did the same. 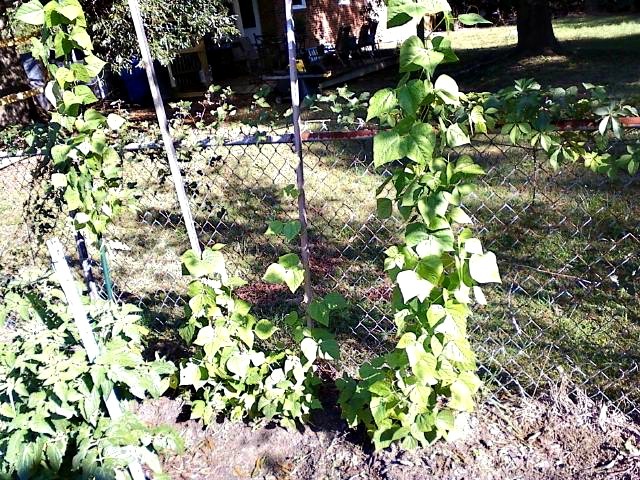 My brother in law, Brian, and sister, Judy, both grow beans from seeds that originated with the plants from my relatives. When I visited my family in Maine last summer, I asked Brian if he had any seeds left over this year. Luckily he did. I planted them when I returned from my vacation in August and have been waiting with fingers crossed in the hope that I would also get some plants that would be the same as the ones that I remember eating as a child from my great grandmother’s garden. We have a long growing season here in North Carolina so the plants had a few months to grow even though they were planted late. I got a wonderful harvest that was just as delicious as I remember, and managed to save seeds for next year as well. 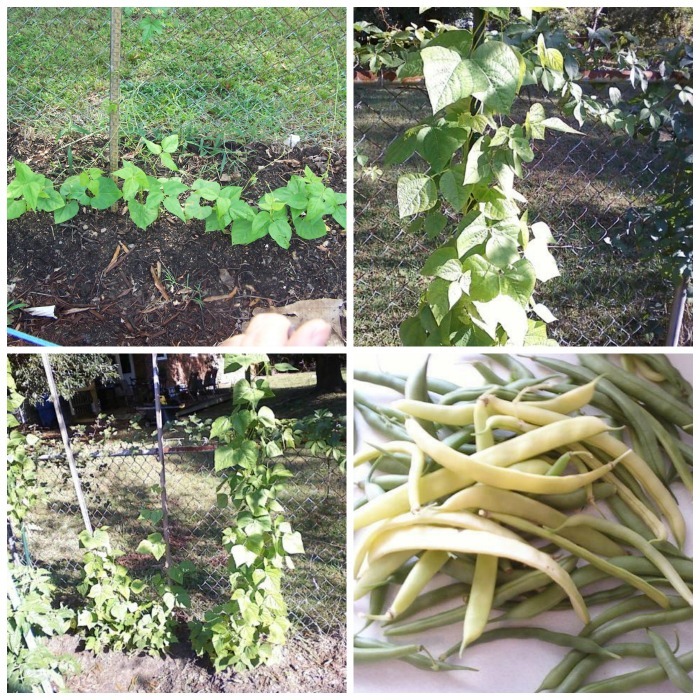 When I picked that first batch of beans, it was a very emotional day for me, thinking back to my very early years in my great grandmother’s garden and knowing that it is living on in my garden. Have you grown plants from the seeds of heirloom vegetables or flowers that someone in your family started? I would love for you to share your experience in the comment section below. I see seed packages all the time that are labeled “organic.” Does this mean that they are heirloom? The short answer is maybe. Read the package to see if they are also labeled heirloom. If not, they are likely to be hybrid seeds. Organic seeds refer to a growing practice (most likely without pesticides.) Heirloom seeds refer to the heritage of the plant. These are two very different things. In practice, you can grow heirloom seeds without having the plant be organic, if you use pesticides. It used to be the case that acquiring heirloom seeds meant that you had to have someone pass them down to you. I am lucky to have this opportunity with bean seeds but not any others. I even occasionally see heirloom seeds at big box stores now in the seed department. Other places include local farms, botanical gardens and seed exchanges. If you enjoy growing your own vegetables, be sure to try to find some heirloom seeds this year. You’ll be pleased that you did! Use the image below to save it to Pinterest for easy access to this article later. Admin Note: This post first appeared on my blog in October of 2012. I have updated the post with new photos and more information about the advantages of heirloom vegetables.